Do you have too many friends or friends of friends posting annoying messages on your Facebook News Feed? Here’s how to avoid it. Facebook is currently the world’s largest social network and you might have friends of friends who you don’t even know. Maybe they post photos or other content you don’t want to see. Maybe you don’t like their posts because you don’t agree with that person’s stance on things. Or, perhaps your relationship with that person in real-life has gone down the drain. Whatever the case, here’s a look at some options you have to avoid seeing their annoying posts in your newsfeed. Before you decide to go as far as unfriending someone, you might want to take more of a passive action and hide posts you don’t agree with. Keep in mind that if you do this, the Facebook algorithm will try to hide similar posts in the future. If that is ok with your, just click the options button (…) and select Hide post from the menu that pops up. After you select the option to hide the post, Facebook gives you a few other options. You can click the link to see less from that person. Or, if you determine the post is offensive or spam, you can report it to the company. Also, if you change your mind, you can click to undo the action and the post will show up again in your timeline. If you no longer want to see any posts from a ‘Friend’ then you can unfollow them. Just select the Unfollow option from the same menu. You will still remain friends with that person, however, you won’t see any more of their posts. Like with hiding posts, you can also undo this option later if you change your mind. If you have multiple people you want to unfollow you can do that in one fell swoop. Head to News Feed > Edit Preferences at the top-left of the page. Now you can go through and select people, pages, or groups that you don’t want to follow and then click the Done button at the bottom. Note: From this menu, you can also manage which posts you see first. 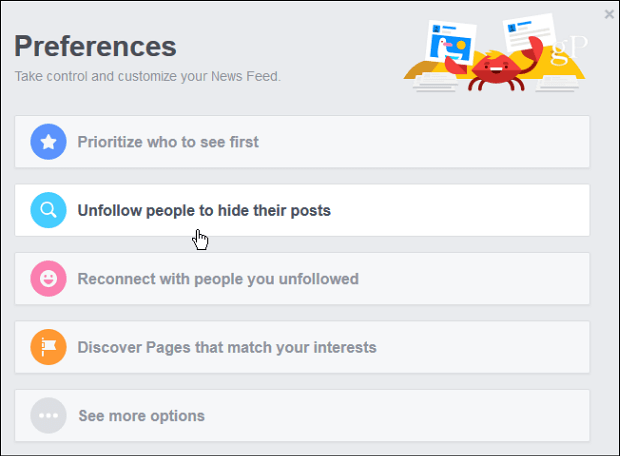 Just select “Prioritize who to see first” at the top of the Preferences menu and select the groups, pages, or people you want to appear first in your newsfeed. 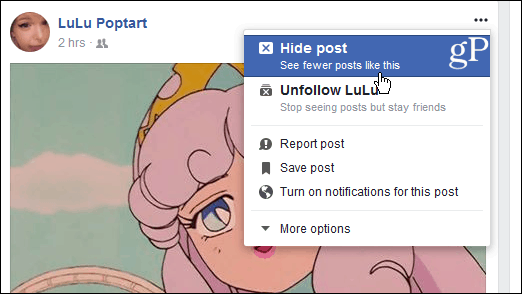 If you want to completely “breakup” with a friend on Facebook you can either block or unfriend them. To block someone, head to Settings and then chose Blocking from the left column. Then you can type in a person’s email or name in the Block Users field. 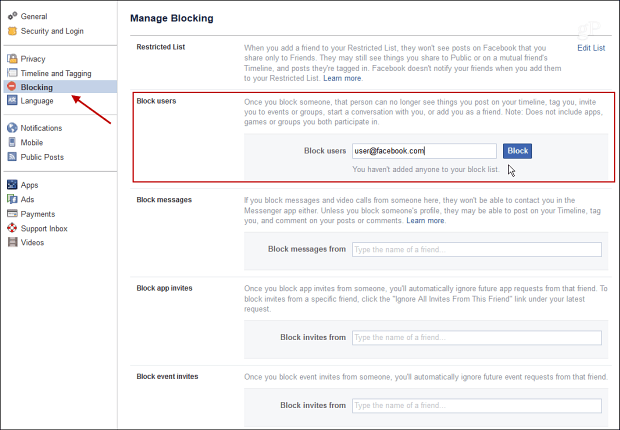 When you do block someone, they no longer see your posts, can’t tag you in photos, or invite you to events or groups. Note that from here you block messages as well as app and event invites from specific users. 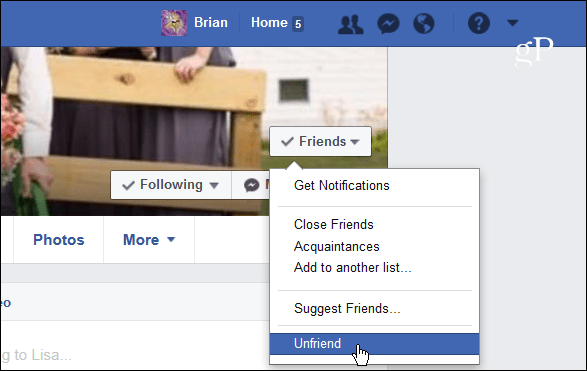 To Unfriend a user, find their Facebook page, hover over the Friends button and then click Unfriend from the menu that pops up. The person you unfriend doesn’t receive a notification that the friendship has ended, but they will probably catch on eventually. 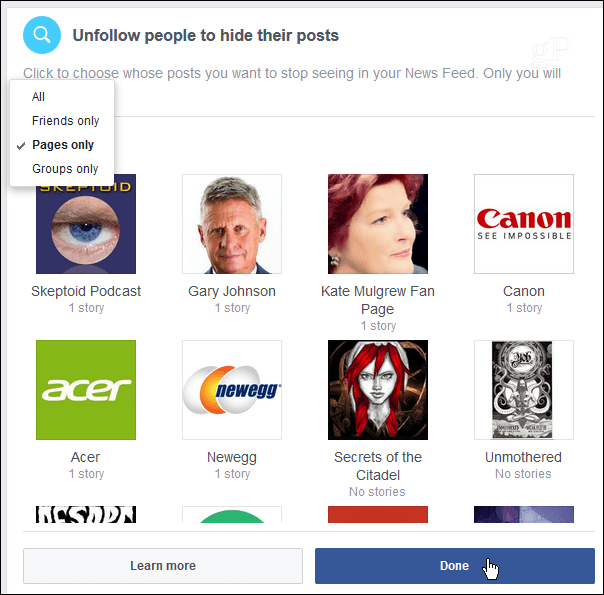 Do you have too many friends or friends of friends on Facebook and want to clean up your newsfeed? 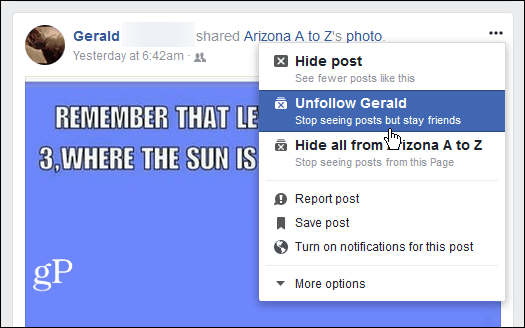 This should help you get rid of posts you no longer want to see.